The 3D Avatar is a virtual graphics character that can listen, speak and respond to simple commands. It can run in a browser on any device or in a stand-alone (embedded) terminal. The 3D app can look up Wikipedia queries and read out the first few sentences. You can then ask it to read the whole page. It is designed to be easily integrated into other software or hardware. The project was the result of some feasibility studies, sponsored by IBM powered by the Watson AI, that resulted in a working prototype. It was first presented at the IBM Think!2018 conference in Mar 2018. 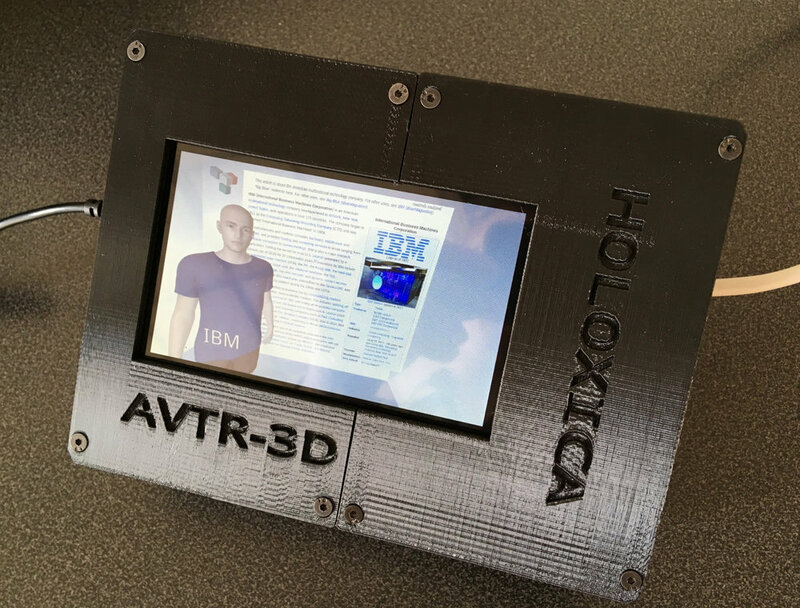 Holoxica also managed to run the software and graphics on a stand-alone unit running on an embedded computer with limited graphics capability. This shows the versatility and applicability of the solution for Internet of Things (IoT) devices. We are working on a plan to commercialise this technology. The idea is that it can be used to spice up other people's AI services e.g. chatbots or virtual assistants.